Martin Guitar has announcedthe debut of the new Dwight Yoakam DD28 Signature Edition and D-28 John Prine Signature Edition, both of which will be unveiled at the Winter NAMM Show later this month. 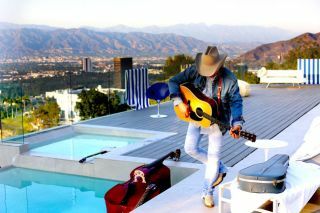 Today,Acoustic Nation and Guitar World bringyou the exclusive premiere of “Suckerpunch,” a new song by former Dwight Yoakam multi-instrumentalistBrian Whelan. Growing up in Detroit, Michigan, guitarist Pete Anderson began his foray into the music world at age 8 with a lap steel guitar, but his epiphany took place as a teenager.